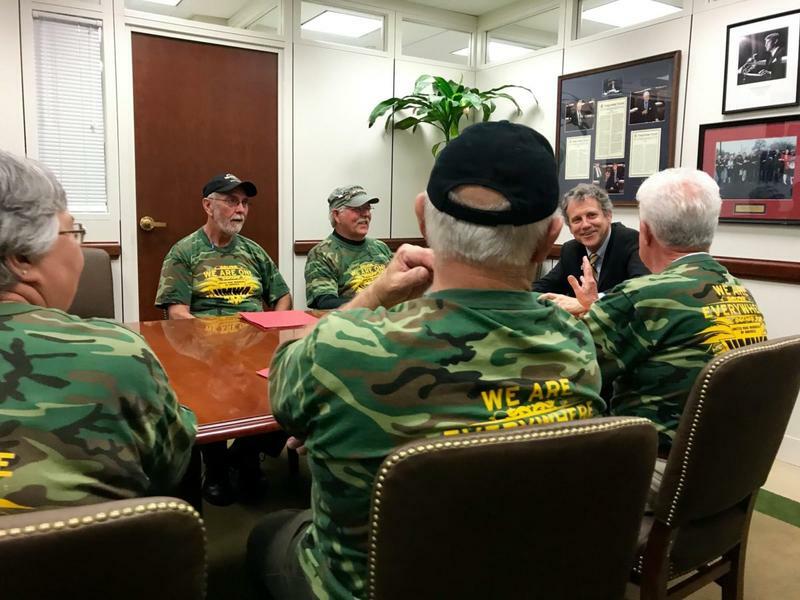 Retired union coal miners are joining teamsters, iron workers and other union retirees in an effort to shore up their ailing pension plans, and they hope the ticking clock on a government spending bill will help. Some Democrats want to see protections for retirement benefits included in the omnibus spending bill, which Congress must pass in order to prevent a government shutdown. That could set up a year-end showdown over the spending bill, with major implications for retirees in the Ohio Valley region. 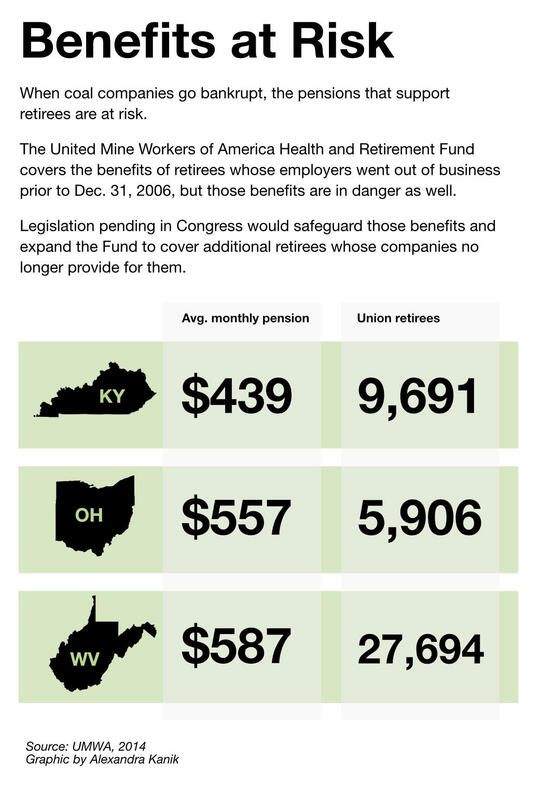 Some 43,000 retired miners in Kentucky, Ohio and West Virginia depend on a pension plan that the union argues could be at risk without Congressional action. A trio of leading lawmakers from the region will play key roles in the debate in the coming week. 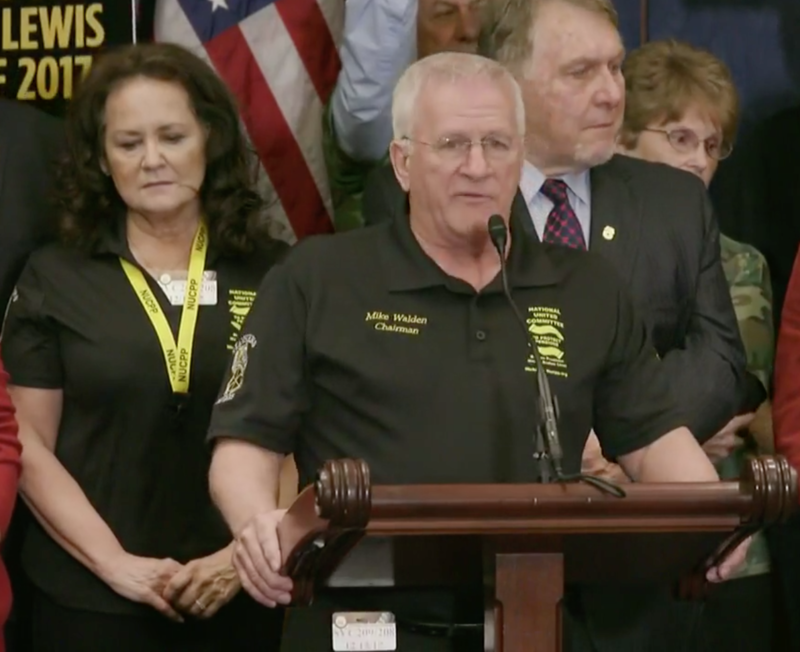 Last year retired union miners fought to protect their health benefits and pensions which were both at risk due to the coal industry’s decline and a wave of bankruptcies. They won protection for health benefits but not pensions, after the issues were split off in a compromise measure to fund health benefits. 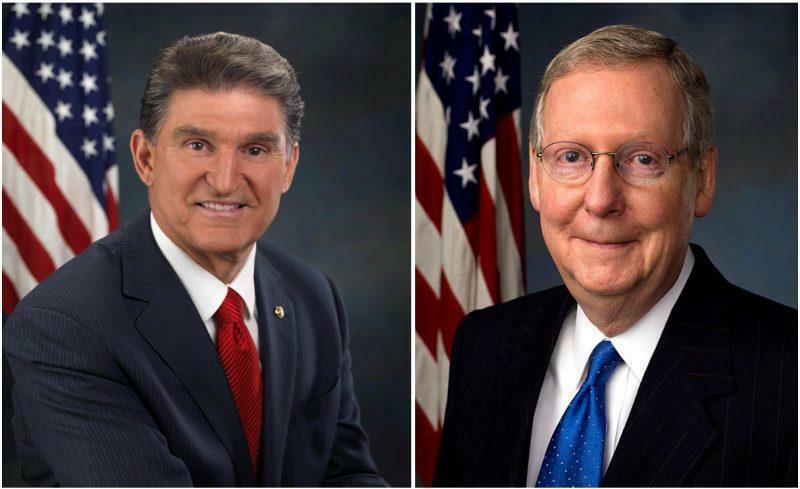 A bill championed by West Virginia Democratic Sen. Joe Manchin to extend protection to the miner’s pension plans attracted some bipartisan support but not enough traction to win passage. Now Ohio Democratic Senator Sherrod Brown has attracted support of Democratic leadership to make a broader push for pensions for a number of other teetering pension plans. At a Capitol Hill rally Brown said Congress found time to pass major tax cuts for corporations and now it’s time to shore up pensions. Brown said Congress has a responsibility to keep the promise of pensions to the millions of workers who depend on them. He’s introduced the Butch Lewis Act, named after a Teamsters union member who died two years ago while working on the issue. The bill would establish a new office called the Pension Rehabilitation Administration. Pension plans would be able to borrow what they need to remain solvent through this new arm of the Treasury Department. Mike Walden is a member of the Teamsters union in Ohio. He said shoring up pensions should not be a partisan issue. “This war on the elderly and unions here in the United States of America is only about party lines and aisles not saving lives, not the economy, not letting someone keep what they earned but wanting to take it away for personal gain or power,” he said. Walden wants to see work across the aisles in Congress. That would depend on a trio of lawmakers from the Ohio Valley finding common ground in a partisan atmosphere. Democrats Brown and Manchin have picked up some bipartisan support for pension protection. But Senate Majority Leader Mitch McConnell, of Kentucky, has said that he prefers to address troubled pension plans as part of a broader pension reform effort. UMW spokesperson Phil Smith said the situation is urgent, and that the union’s pension plan could become insolvent in less than five years if there’s a further downturn in the coal market. “Any more bankruptcies in the coal industry would have significant effect on our plan,” he said. “It would essentially lead to all of the remaining employers who are making contributions to the plan to being let out of that obligation by a bankruptcy court. With a deadline looming, some Democrats are threatening a government shutdown if a pension fix is not included in the end-of-the-year spending bill.